We’re presently living in a busy World where people couldn’t afford enough time to care about their food habits, due to which they’re facing many health issues, which include obesity, diabetes, hypertension and many more. One thing such people should remember is ‘Health is Wealth’ but not vice versa. An unhealthy lifestyle lands you with many problems and one most important of all is the ‘obesity’. By opting a healthy lifestyle, one can easily solve such health issues and lead a happy and healthy life. Dieting may not work for all people, but there are several other easy home remedies for losing weight. You can see that most of the people who’re overweight say that they’re not having any health issues due to their weight, and so they try to lead the same lifestyle. But, they don’t understand that the problems may occur in the future. Here are a few signs and symptoms which show that you need to lose some weight to avoid problems in the future. There are many causes of obesity and below are a few culprits. Eating more than your required calorie limit can lead to weight gain. A normal male would require not more than 2100 calories per day and female up to 1800 calories. Anything above that will make you overweight and below the scale would help you lose weight. So, if you want to lose excess weight, then you better reduce your calorie intake. You can also follow this 1200 calorie meal plan. You may also gain weight if you’re not leading an active lifestyle, which means that you’re not spending the calories that you eat. If the amount of calories consumed exceeds the amount of calories burned, then those are stored as fat deposits, thus making you look overweight. So, make sure to perform some aerobic exercises or Yogasanas for at least 30 minutes every day. If you’re having less time for it, then you can also opt for the 7 minute HIIT workout which burns more calories in less time. There are a few medical complications such as Cushing’s syndrome, Polycystic Ovary etc.. .which can increase your weight. Since these issues are not in your hand, you need to consult your Doctor to avoid any further issues due to weight gain. Most of the Women gain weight during pregnancy and it is very difficult for many to get rid of it after the baby is born. However, it is also not impossible to lose weight after pregnancy if you’ve the dedication. Now, let us come to our main topic of losing weight at home without following any medications. Yes, there are many home remedies, which by following, can help you lose all those excess pounds easily. By following this simple 1 week diet plan, you can lose up to 5 to 7 kgs or 10 to 17 pounds in just a week. Since, this is a scientifically proven diet, you won’t notice any major side effects. Here is a short version of the GM diet day by day. Apart from these foods, you can have the Wonder soup, which is made of Cabbage, Carrot and Tomatoes whenever you feel hunger. Follow the full version of the GM diet for vegetarians and Non-veg GM diet here. P.S: Women who’re either planning their pregnancy or already pregnant should not follow the General Motors diet plan until they stopped giving milk to their babies. This is because they won’t get the sufficient proteins required for their baby through this diet. This is one of the easiest home remedies and also proved to be very effective in burning excess fat. Take a glass of lukewarm water and add 1 tablespoon of honey and a teaspoon of lemon juice to it. Drink this mixture every morning immediately after you wake up from the bed. 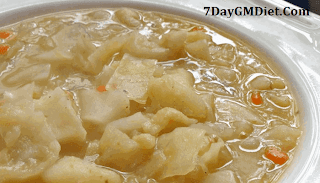 As we said earlier, the cabbage soup is one of the most efficient ways to get fit and healthy. Cabbage is said to be very powerful in burning fat. Here is the Wonder soup recipe. Have it every day whenever you feel hungry. I prefer to replace my dinner with this soup daily. Olive oil, preferably Virgin Olive oil is the best of all the cooking oils as it is rich in mono-unsaturated fats, which will lower the LDL cholesterol (bad) and increase HDL cholesterol (good) levels in our body. So, include this in your grocery list. Steamed or boiled food is so much better than the fried foods as it prevents adding extra calories to your body. In case you want to fry, then use the Olive oil (just 1 or 2 spoons are more than enough for frying). If you’re dedicated to losing weight, then you should definitely avoid fried foods and snacks at all the times. This is one of the most followed home remedies to lose weight. Add 2 tbs of organic Apple cider vinegar in 3/4 cup of water and drink this at least 2 or 3 times every day. This magical mixture helps in burning those excess fats stored in your body. The rice (White) which we eat contains nothing but carbohydrates. It doesn’t have any medical benefits. 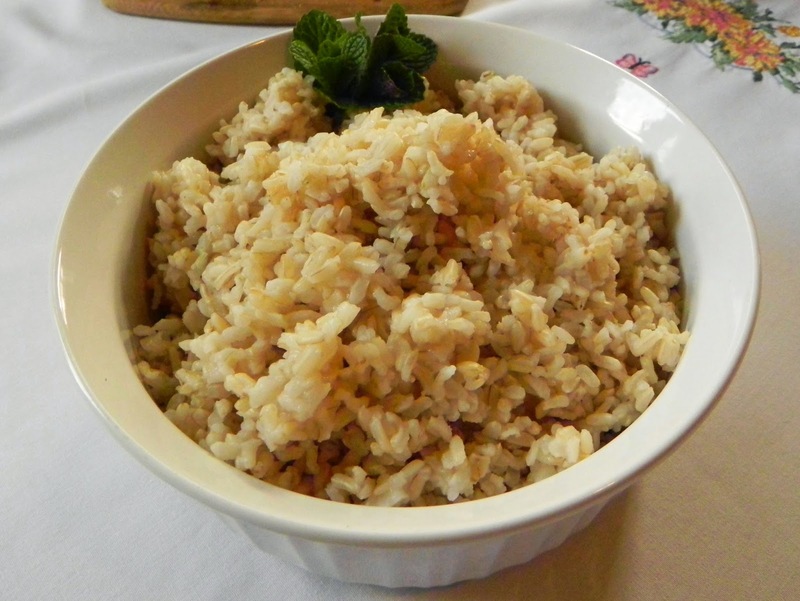 So, it is better to replace your white rice (polished) with brown rice (low in carbs and is fiber rich). There are many advantages of eating brown rice and below are a few. Rich in Fiber and Low in Carbohydrates. Contains Vit B, E and Magnesium. A small cup of brown rice makes you feel fuller for longer duration, so that you won’t eat those unhealthy snacks in between the gaps. 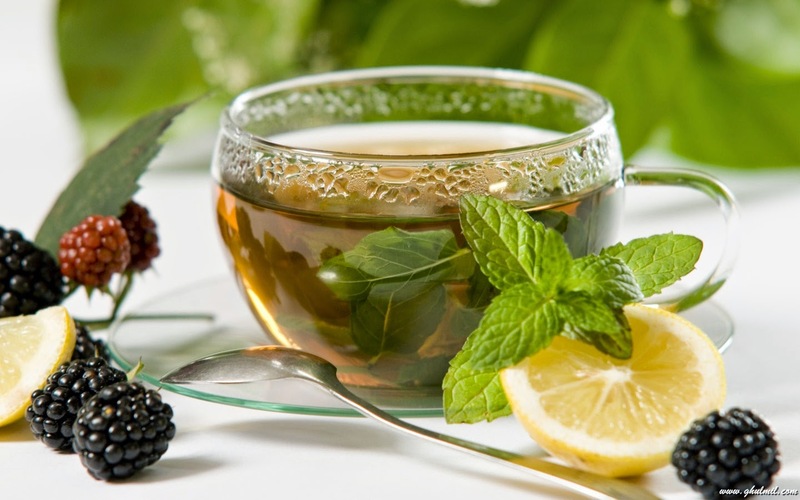 Try to avoid Coffee or Tea and replace them with Green tea, which has many health benefits. Drinking 2 or 3 cups a day will burn calories, reduces bad cholesterol and at the same time improves your metabolism. Many dieticians suggest that Fish is healthier than Chicken. They contain less fat when compared to meat. But not all fish come under this tag. Salmon fish are rich in Omega-3 fatty acids and eating 2 or 3 servings per week can significantly help in reducing your body weight. Don’t fry it. Eat it roasted or baked or grilled. In order to throw out the toxins from your body, it is advised to drink at least 8 to 10 glasses of water every day. But make sure to avoid drinking water while eating meal. You can consume water either 30 minutes before or 2 hours after eating your meal. Not just water, you should also drink fruit juices, mostly of citrus foods, such as Lemon, Orange as they’ll help you in losing weight, and at the same time provide essential vitamins such as Vit C.
That’s all Friends! If you follow these simple home remedies, you’ll definitely maintain your ideal weight and lead a healthier lifestyle. All the best 🙂 Please do share your weight loss stories with us. I am a fitness enthusiast who personally lost 26 pounds by following a healthy diet and workout routine and kept the lost weight ever since. Next Post:Homeopathic Medicines for Weight Loss: Are They Safe? Triphala for Weight Loss: How Does it Help & How to Use It? Kalonji Seeds Oil Benefits for Weight Loss | How to Use it? How Did Bhumi Pednekar Lose Weight without Surgery? Affiliate Disclaimer: 7DayGMDiet.com is a participant in the Amazon Associates Program, an affiliate advertising program designed to provide a means for sites to earn advertising fees by advertising and linking to amazon.in.